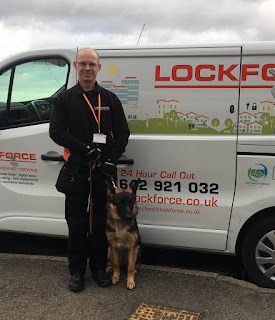 Lockforce Emergency Locksmiths News: 2018 for Lockforce Middlesbrough/Stockton/Redcar. 2018 saw me successfully complete my training as a Locksmith. Then following a period of planning and preparation I began providing services across the region. So far this has been a huge success, I have been very busy, and this has continued in to 2019. I have met some great people and been able to help customers in all sorts of situations. This has brought me huge job satisfaction. My customers are always so grateful, and this is reflected by the large number of 5 Star reviews I have received already. I am very proud of my reviews and it is reassuring to know that in their hour of need I am able provide a fast-professional service of the highest quality and at an affordable price. My main aim for my business in 2019 and beyond is to spread far and wide the message about Security and with that make everybody’s home more secure. Most homeowners have very little idea how unsecure and vulnerable their homes are. This is the one place we should all be safe in. I advise every customer I visit, and they all say they had no idea how vulnerable they were and assumed their security was more than adequate. So, with my passion for Home Security and helping people I will be working hard in 2019 to keep you safe.